Ever heard about a place called Abbott Station? Maybe you’ve seen Captain Jeffrey’s house but didn’t know who that was? Did you know Zephyrhills used to have large archway entrances welcoming people to the city? With the 100th Anniversary of Zephyrhills right around the corner, now’s the time to learn everything about our great town! Author, Rosemary Wallace Trottman is a scrupulous researcher with an unfailing eye for the significant detail and the novelist’s affinity for the “human touch.” While her history is replete with important events and dates, and considers the effects of the railroad and the automobile on the community, the citizenry of Zephyrhills and their changing life-styles throughout the years are also dealt with in depth. Particularly interesting is her account of the colonial years, in which the day-to-day activities of the settlers–log-rolling, sugar-caning, etc. are described. The authoritative and charming glimpse into a vanished past makes a wonderful gift to the pioneers of Zephyrhills-and to readers everywhere. While out-of-print, you can still check for a copy at the Zephyrhills Library. (If you have a picture of the cover, please email it to me!) Thank you Madonna Wise for sending me an image of the book cover! 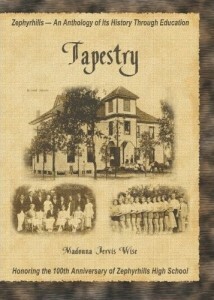 Tapestry-Zephyrhills, An Anthology of Its History Through Education,” is a collection of news coverage of formal education in Zephyrhills, Florida. The reader will see history through the eyes of ordinary students experiencing the regional and national historical events that shaped their lives, as well as the rites of passage of growing up in the ambiance of a small Florida town. Over the years, the town and its schools adjust to and reflect advances in technology, societal changes and dramatic growth. You will come to know the local families and laugh with them at their joys and feel the pain of tragic losses. You will experience the town’s pride in their local celebrities. 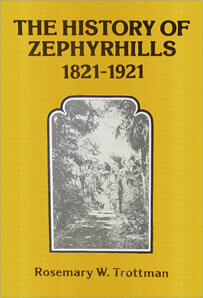 Commemorating the 100th anniversary of Zephyrhills High School, which served as a cultural compass and center for local events and issues, the book provides highlights and news summaries from every year. Decade summaries for 1910 to 2010 highlight changes and movements as well as their impact on the community. The book chronicles the community’s evolution and tells its history from the vantage point of education. Zephyrhills has a rich history that is full of surprising facts and engaging anecdotes. The story of its people and what they have achieved is told here in a collection of articles arranged from A to Z, spanning more than a hundred years of dynamic change in the Sunshine State. Read about the city’s earliest days in the late 1800s when it was known as Abbott; its settlement by Civil War veterans; the pioneer citizens who found happiness around idyllic Zephyr Lake; the successes and trials of the entrepreneurs who sought their fortunes in endeavors as diverse as manufacturing, the lumber industry, and roadside attractions. Follow the story from A to Z — from Abbott to Zephyrhills — and discover how a whistle-stop dot on the map grew into the charming City of Pure Water, whose name has become synonymous with the country’s best spring water. The book is generously illustrated with nearly a hundred photographs and other images. Set to release in Spring 2010, follow the link for more details! 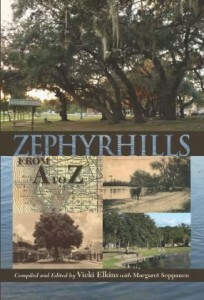 Discover more books about Zephyrhills at Google Books or Amazon.com. 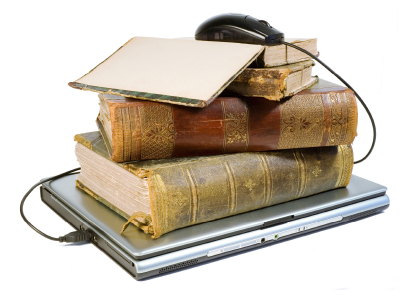 Know of a book about the history of Zephyrhills not included above? Share it in the comments below! The museum is temporarily closed because firefighters have been working out of it since a January 2008 storm. They have an enormous amount of Zephyrhills stuff in their history center and it is open to the public through the week. 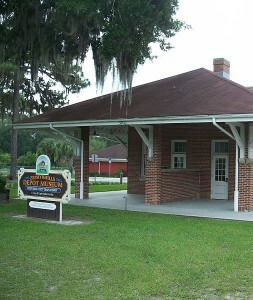 Any other Zephyrhills museums or historical exhibits that I’ve missed? Share them in the comments below! God Bless Bernie Wickstrom for getting me started in journalism. I was a Senior at Saint Leo College when he honored me by putting my article on the frontpage.